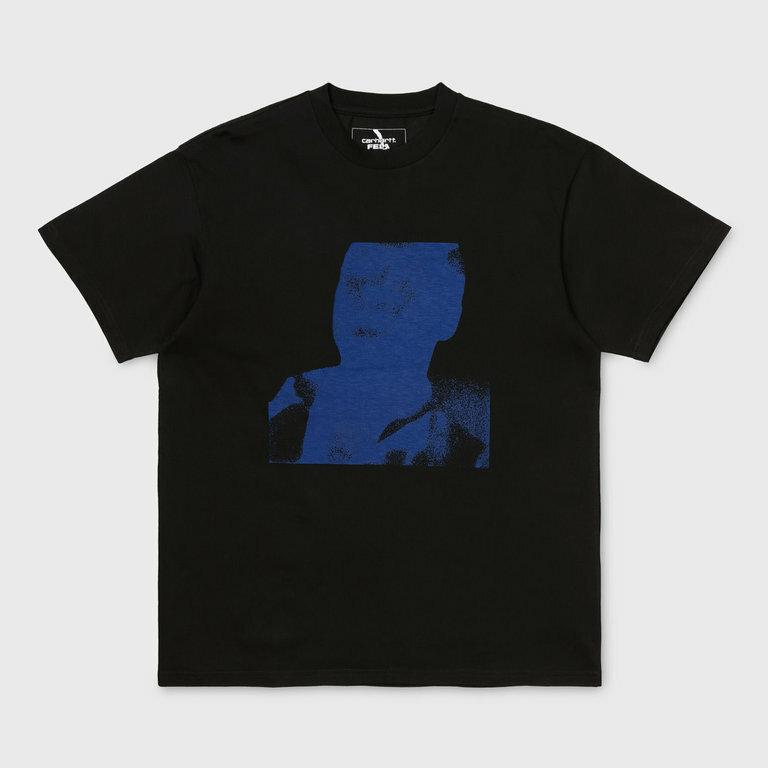 The Fela Kuti Ye Ye De Smell T-shirt Black from the Carhartt WIP x Fela Kuti Capsule Collection. The collaboration takes inspiration from Fela Kuti's vibrant album artwork, while also incorporating references to Fela's tracks. The Fela Kuti Ye Ye De Smell T-shirt Black from the Carhartt WIP x Fela Kuti Capsule Collection. The collaboration takes inspiration from Fela Kuti's vibrant album artwork, while also incorporating references to Fela's tracks. The Ye Ye De Smell Tee is made from 100% Cotton in a loose fit and designed with a graphic print on the front and back.